ESET®, a global pioneer in proactive protection for more than two decades, has been included once again in ‘Big 5’ ranking of Deloitte’s Annual Technology Fast 50 CE report. ESET has enjoyed a 223% growth in Central Europe and is part of the ‘Big 5’ as the only company founded prior to 2000. It corroborates the confirmed growth by Gartner. ESET has been present in Deloitte’s top rankings for Central Europe for 13-times already. Deloitte’s Big 5 award recognizes technology companies that are too big to compete in growth terms with smaller firms. In order to be eligible for the Big 5, a company must be trading for a minimum of four years, has to record revenue in excess of 25 million euros, and be headquartered in Central Europe. ESET has previously and for several years running been ranked in the Fast 50 CE as well. “Central and Eastern Europe has traditionally been strong for ESET. However even as ESET is a company from Slovakia, we are as well the biggest IT security company from the European Union. We will keep our focus to stay strong within this particular region and strengthen our business in the whole of Europe,” says Miroslav Mikus, ESET’s Sales and Marketing Director for Europe, Middle East and Africa. 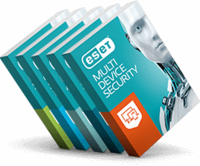 Learn more about ESET and ESET‘s products by visiting www.eset.com.